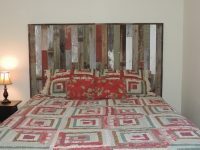 (67.5″ X 37.5″) made of Reclaimed, Recycled Barn Wood. Wallmounted. 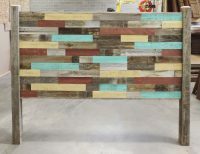 Your Choice of Accent Colors. 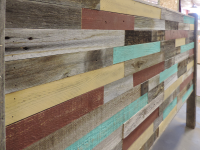 Here at All Barn Wood, we realize we didn’ invent barnwood…we just do it a whole lot better! 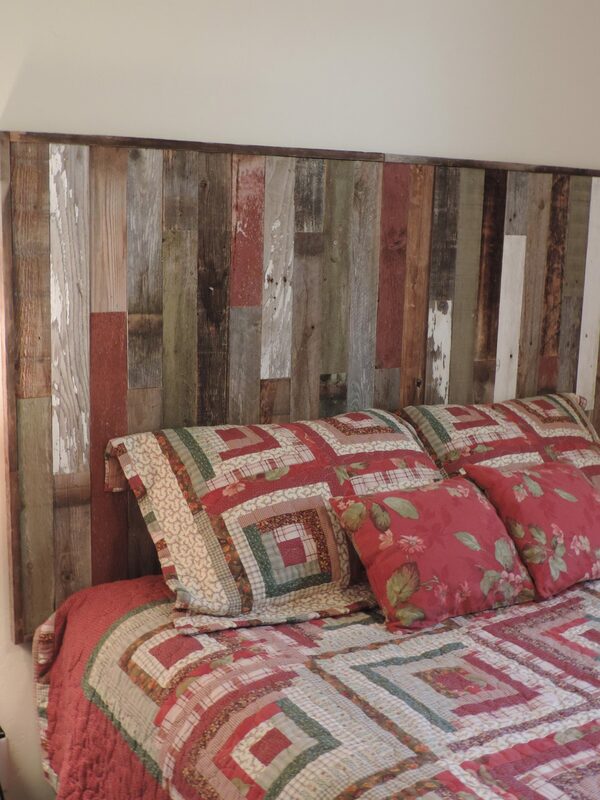 Introducing the next generation in Barn Wood Decor…The All Barn Wood Panel Wall-Mounted Headboard. 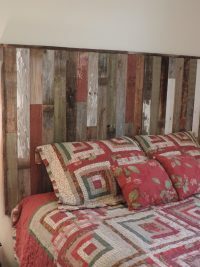 Utilizing random lengths of 3″ wide naturally weathered Barn Wood slats in a variety of natural and optional weatherworn* painted accent colors, this Queen Size wall panel headboard will add variety, color, and rustic character to any room. 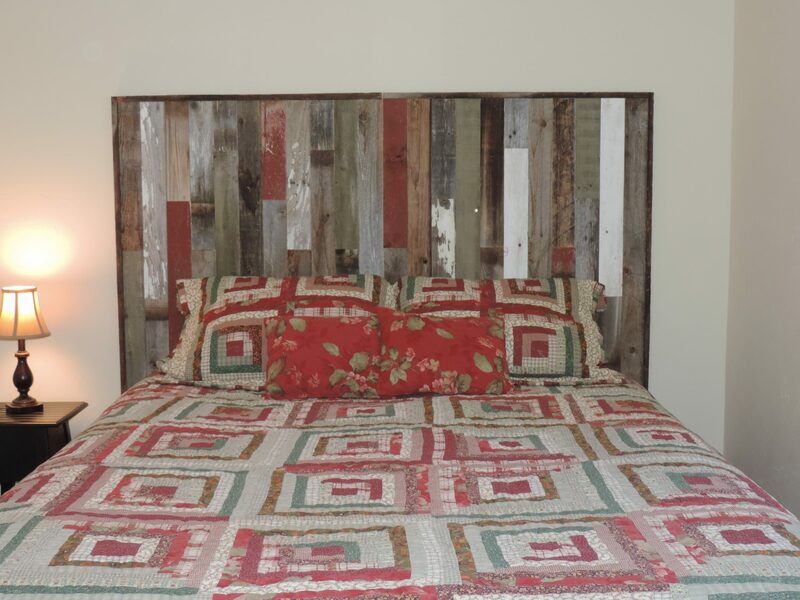 Perfect for your cabin, your cottage in the country, or your everyday domicile. Ships as two flat interlocking panels that fit together on the wall. 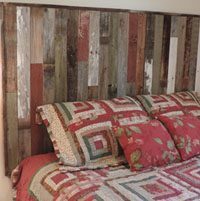 Installation is easy….just mark your studs, prop the panel against the wall, and screw 3-4 screws through headboard straight into studs with 3″ screws (included). 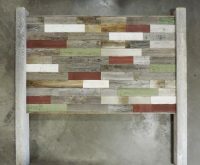 *You can order up to three accent colors. 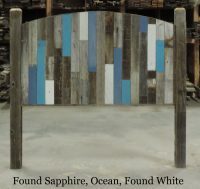 Some colors are our regular paint colors…some (found*) are painted already when we reclaim them (tested lead-free of course). See pictures for examples.